Scandinavian heritage and curiosity regarding its folklore may have encouraged your ticket purchase, but no one can deny an attraction to Chris Hemsworth‘s beautiful body…of work. Avengerites across the globe sit theater-bound searching for clues in the connective tissues between the franchised Marvel movies. Natalie Portman is finally allowed to laugh in Thor 2. It takes grizzly black goblin goo, but giddy Natalie trumps stern constipated Nat any day. She courageously glides into a galaxy far away without a hitch. She is scientific, pragmatic. It is, as always, Tom Hiddleston as Loki who steals the show. He is the maniacal brother with daddy issues who woos an audience with ease. Zachary Levi (best known as the lead in the tv show Chuck) adds contagious joy and enthusiasm to every scene he graces. 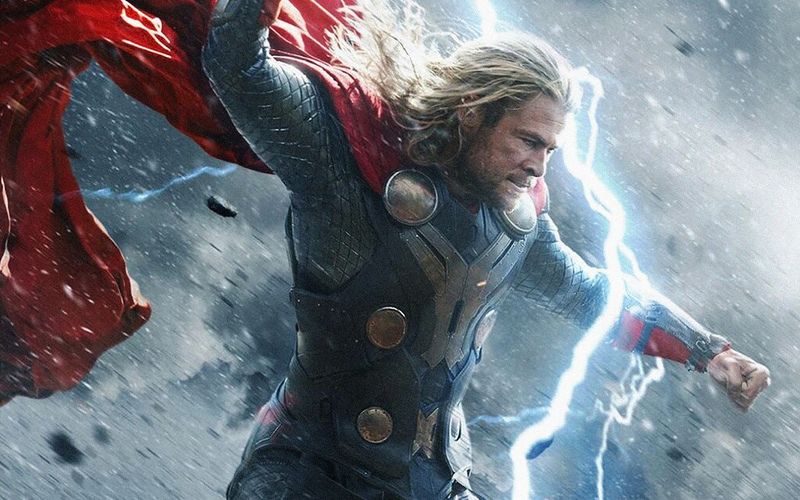 Riddled with humor, color, high action, and life, Thor 2 is as promised, a true comic book film bringing characters to life. It did not disappoint. great review!! Makes me want to watch it now ! So glad. I think you’ll laugh. It’s worth the ticket. I loved this movie. Watched it in the cinema twice. Good review. Thor 2 is a must see. This movie is so great because it takes a few different approaches. It is action packed with all the fighting scenes starting right at the beginning of the movie. There is more humor in this movie than the last one, and last face it humor provides a bright spot in any movie. Last but certainly not least it is based of a romantic relationship. If you like anyone of these types of movies you will certainly enjoy this movie as it feeds off all these approaches. I would pay to see it again. Nice review, I thought it was pretty good! Much better then Iron Man 3 at least!